Thomas “Sonny” Caldwell Harris entered into eternal rest on Tuesday, August 12, 2008. He was born July 27, 1924 in New York City, NY to the late Mabel Harris Sasso and David Sasso. He was reared in Bray’s Fork by his grandparents and his Aunt Virgie. Thomas attended the Rappahannock Industrial Academy and after graduating attended Virginia State University. He subsequently received an honorary Associates Degree from Rappahannock Community College. He was drafted into the U.S. army in 1943. While enlisted, he received the Bronze Arrowhead, Good Conduct Medal, Liberation Ribbon, two Bronze Stars, and the Victory Medal. He was honorably discharged in 1946. Thomas was happily married for sixty-two years to Irene J. Harris and into this union three children were born. He operated the family store and service station and was later inspired to open the Harris Family Drive-In. In addition, he operated several other businesses. Later, he opened and operated Store-Tel storage, one of the first mini storage businesses in the Tappahannock area. In addition to storage units, he offered tool rentals and electric motor repair. 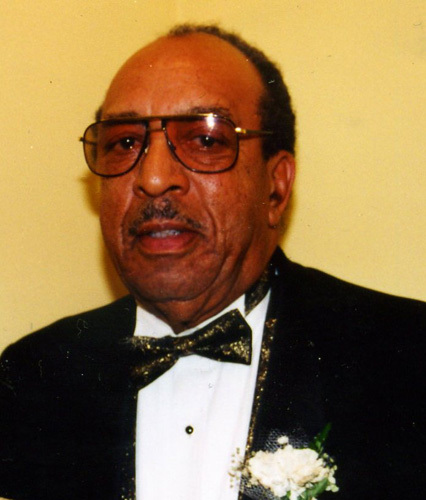 He was active in his community by serving in the Red Cross, NAACP, R.I. Academy Alumni Association, Middle Peninsula African-American Genealogical and Historical Society, Essex County Zoning Committee, and Essex County Chamber of Commerce. He served in a leadership capacity in many of the above organizations. He was a charter member of the Tappahannock Kiwanis Club. He was baptized and joined St. John Baptist Church and later joined First Baptist Church, Tappahannock, where he served as Vice Chairman of the Deacon Ministry, Past Superintendent of Sunday School, President of Senior Choir, and spiritual leader of prayer meetings and bible study. Thomas leaves to cherish fond memories, his loving wife of 62 years, Irene J. Harris; three children: June Constance Monterio (Charles) of Alexandria, VA, Thomasine M. Coates (Duane) of Ft. Washington, MD and Ira C. Harris (Denise) of Charlottesville, VA; seven grandchildren: Charles J. Monterio (Ashley) and Shiree C. Monterio of both of Alexandria, VA, Sydney N. Harris and Kelsey C. Harris and Holly L. Harris all of Charlottesville, VA, Alida D. Coates and Durell T. Coates, both of Ft. Washington, MD; one sister: Alida M. “Tootsie” Sasso of Meriden, CT; two sisters-in-law: Josephine Payne (William) and Ruth Parker both of Philadelphia, PA; one brother-in-law: Willis “Stewart” Parker of Huber Heights, OH; devoted friends: Laura Jane Tilden and Alice Gresham both of Tappahannock, VA and a host of nieces, nephews, cousins, other relatives and friends.